Here is a possible solution to the blog the other day . . .just hook the laundry itself! 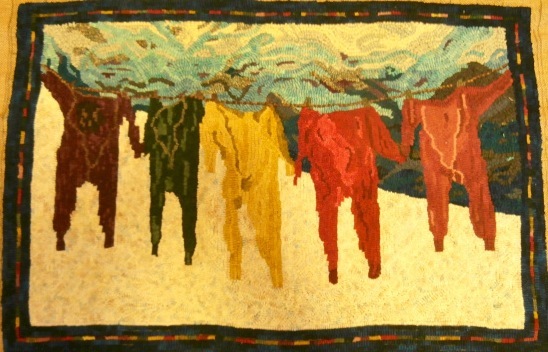 Above is a terrific little mat good for the FLOOR or the WALL . . .
pattern sold at Rittermere Hurst Field in Aurora Ontario Canada. . . 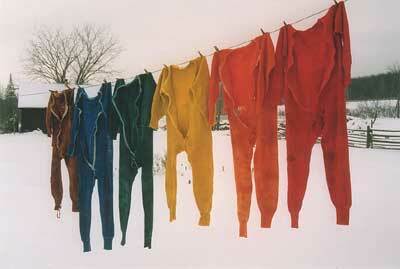 THANKS Elizabeth Martel for the update regarding Anns Laundry of Stanfields beautiful long underwear !!!!Apparently . . .
Ann's coloured underwear was actually stolen from her clothes line (hard to believe in a lovely village like Coldwater) I've alway wanted to hook this too!